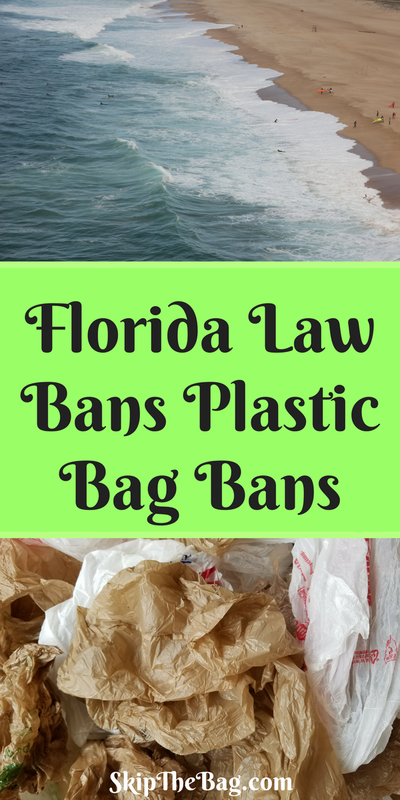 Bans against plastic bags are illegal in Florida. Yep, you read that correctly, the very thing that Hawaii and California have passed to reduce plastic bag consumption is illegal in Florida. Additionally plastic bag fees such as those enacted in Washington, DC and New York City are similarly illegal. "Until such time that the Legislature adopts the recommendations of the department, no local government, local governmental agency, or state government agency may enact any rule, regulation, or ordinance regarding use, disposition, sale, prohibition, restriction, or tax of such auxiliary containers, wrappings, or disposable plastic bags." Title 29, Chapter 403, Section 7033 of Florida law states. Recently there have been a number of bills presented to reverse the ban. Some simply proposed a pilot program in communities with fewer than 100,000 people to collect data. Others were fairly aggressive calling for taxation on paper bags as well as allowing local governments statewide to prohibit the use of plastic bags. Subsequent years have tried eliminating plastic bag taxation or narrowing the ability to ban plastic bags to coastal areas. However even with these compromises no bills have been passed altering the prohibition on plastic bag bans. 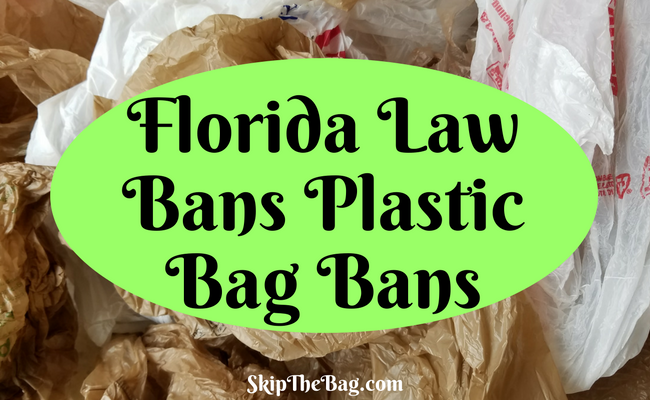 One potential reason for the push back in favor of plastic bags is that there are plastic bag manufacturers located in Jacksonville and Orlando. The companies likely have lobbyists working in their favor. Additionally it is much harder to pass a law that will affect the jobs of your constituents. One of the manufacturers in Jacksonville employs approximately 100 people. 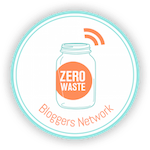 The difficulty in combating lobbyists and/or businesses is why I decided to focus #SkipTheBag primarily on the public’s refusal of plastic bags. If no one needed a plastic bag, stores wouldn’t carry them and they wouldn’t end up polluting the environment. Therefore take the #skipthebag challenge and refuse plastic bags. You can also move to level two or three of SkipTheBag for an added challenge. Interesting to see the states finally waking up and doing something major for the environment and introducing biodegradable or paper items so that Earth could become a living place again.